The working group was comprised of individuals representing various interests on Amelia Island and input was constantly sought from various additional stakeholders, including developers, the Plantation, Amelia Tree Conservancy, the City of Fernandina Beach, HOAs, etc. ATC was also represented on the working group. In our view, this ordinance represents a major step forward in terms of updating and strengthening our current ordinance. There are a few modifications we would like to see. We would prefer to include permitting for all residents cutting trees of the size specified in the ordinance, and we would prefer no exemptions for residences outside of the Resort Overlay District. Of course, we would also prefer that no number of palms be equated with shade trees. On the whole, however, it is a dramatic improvement. If it is passed, we will continue to work with the county on further improvements. This ordinance is also a major step forward in terms of developing one unified ordinance for Amelia Island since a number of aspects of the ordinance are based on that of Fernandina Beach. 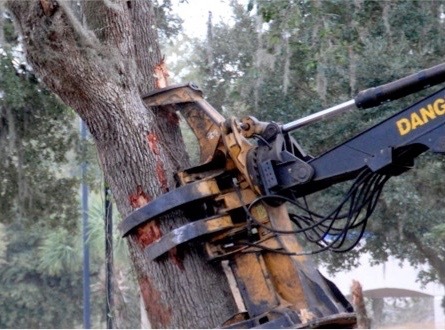 In our view, some aspects of this ordinance are improvements over the Fernandina Beach tree ordinance, and we will try to persuade Fernandina Beach to match those improvements. It will be interesting to see how our community responds to this draft. We hope you will participate.